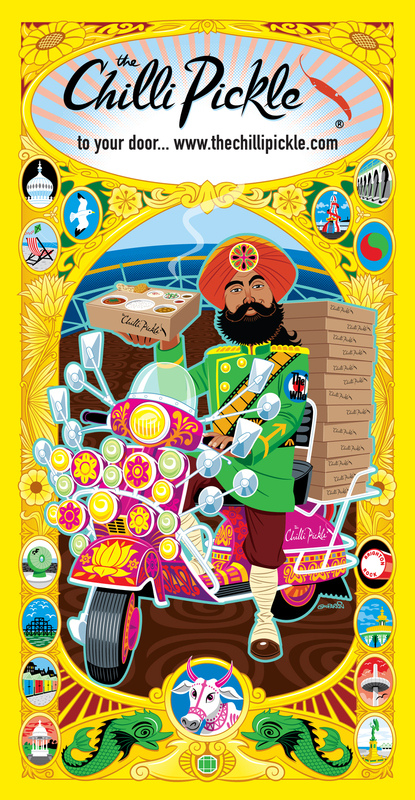 A shameless mash-up of Indian and Mod iconography – Quadrophenia as re-imagined by Bollywood. 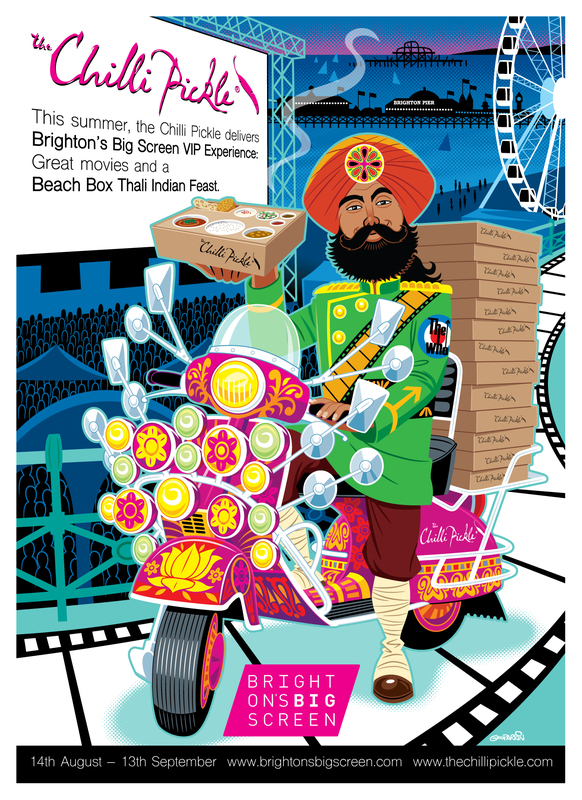 Poster for Chilli Pickle restaurant’s summer 2015 collaboration with Brighton’s Big Screen event. I really like your new site. I am viewing from my phone and it works great. The guys at the Chilli Pickle have found a great identity/brand through you- top notch work. Cheers, Rich! Thanks for checking it out, it’s always good to get feedback on a new site. Pleased to hear it’s working well.